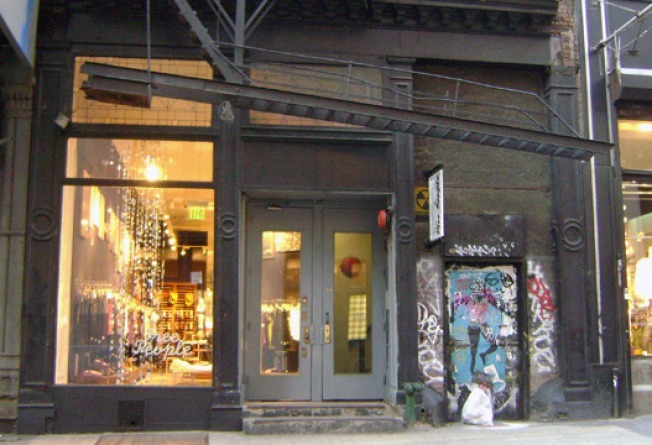 Having opened this month as they promised, which hopefully was early enough for the Coachella-bound to grab some last-minute hippie togs, the Free People on Spring Street in Soho is looking forward to warmer weather. Inside you'll find the usual tank tops cutened-up with needlework and other pieces that look like little cousins of things from Anthropologie. This makes sense because Free People is under the Urban Outfitters umbrella along with Anthropologie. Curious as to exactly what's in stock on Spring? The new store has its own gallery on the Free People Facebook page here.